Much like Thanos seeking to gather all the Infinity stones throughout Avengers: Infinity War, so has the Disney empire sought to secure the rights to the outstanding Marvel comic book properties. 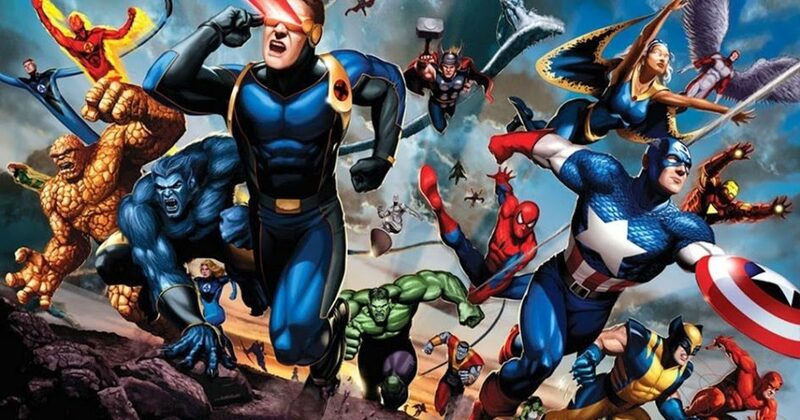 And after Comcast faded from the bidding war this past week, it seems nothing will stop Disney from acquiring the massive rights to the 21st Century Fox assets, including the X-Men and Fantastic Four franchises. Disney made its initial power grab for the Marvel Universe in 2009, buying the remaining properties not already licensed for $4.24 billion. Over the years they have sought other gems of the Marvel pantheon, acquiring Daredevil, Ghost Rider and The Punisher as various deals with other production companies lapsed. Disney even made nice with Sony pictures in a crossover to allow the Spider-Man characters to coexist with the Disney-owned characters, appearing in each studio’s movies. But the biggest jewel missing from Disney’s intellectual property crown, or gauntlet, was held by Fox: The X-Men and Fantastic Four, the mutants and Marvel’s first family. With one snap, or in this case, a $71.3 billion counter-counter bid to Comcast’s own $60 billion counter, Disney forced the cable television and internet giant to bow out. It seems there are 71.3 billion outcomes in which Disney will eventually own the entirety of the Marvel properties. Disney will be the undisputed owner of the rights to the X-Men and all related properties (Deadpool, The New Mutants, Legion, etc.) and it gets the Fantastic Four and their major characters and villains. Additionally, Disney will now own other popular Fox assets such as Alien, Avatar and The Simpsons. The only jewel left is the Hulk, with Universal retaining a right of first refusal for solo Hulk projects. The timing could not be better for the Marvel Cinematic Universe. As the 10-year storyline involving the infinity stones comes to a conclusion in 2019 with the release of the tentatively titled Avengers 4, the new franchises give the MCU plenty of ideas for epic storylines for the next 10 years. Let’s look at what Kevin Feige, president of Marvel Studios, has announced as the films in Marvel’s Phase Four, from 2020 to 2022 and beyond. Most are sequels: Spider-Man: Far From Home, Guardians of the Galaxy Vol. 3, Doctor Strange 2 and Black Panther 2. Also included is a solo Black Widow film. The newest property is the Eternals. There is plenty of room for a Fantastic Four reboot. And while the tail end of Fox studio X-films plays out in 2019 (New Mutants and Dark Phoenix) 2021 or 2022 is prime for a new X-Men film, either as a team, or as a solo outing. The movie-going public has shown it can cope with a reboot mid-franchise after the success of the third Spider-Man reboot (Amazing Spider-Man 2 premiered in 2014 and Spider-Man: Homecoming in 2017). The question is which franchise to reboot first and how? As there are no Avengers films in the foreseeable future after Avengers 4, the MCU will need to start almost fresh with either property. There are obvious ties between the Scarlet Witch and the X-Men franchise, as she is the daughter of Magneto. Or the Fantastic Four can start the next epic crossover with threats of Galactus, the world eater, in a way the prior films could not deliver. A Galactus threat would also rope in more of the space properties in the Marvel Universe. However Marvel Studios proceeds, they have plenty of characters at their disposal. Their cinema sandbox just got bigger and has a near-infinite amount of toys. Ralph is the Senior Correspondent at Zombies In My Blog who has an almost 30-year love affair with comic books, yet it doesn't decrease his love for Hollywood's latest deluge of superhero films. He grew up in the cathode tube light of video game arcades of the '80s, the decade's cartoons and music is etched into his DNA. For fun, he watches YouTube collections of '80s commercials or Bob Barker-hosted Price is Right episodes. And he still plays first edition Dungeons and Dragons every other week. He even named his children after characters in Neil Gaiman books. The geek is strong with this one!